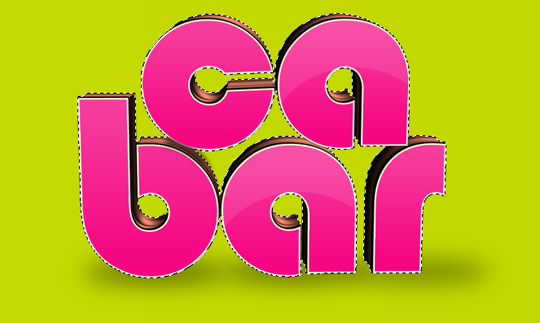 I am going to show you how to create 3D text in Xara 3D and render it in Adobe Photoshop. I’ll share basic Photoshop key shortcuts that really help speed up production. As a final touch I’ll use the pen tool to draw lines that look like strings attached to the 3D text we are going to create. Before we begin, let me quickly introduce you to the Xara 3D interface. 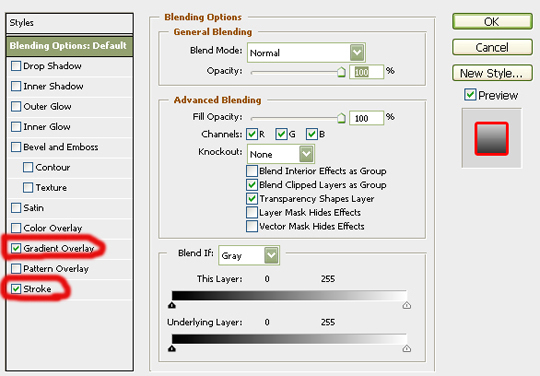 For those who are already familiar with the interface, you can skip this part of the tutorial. 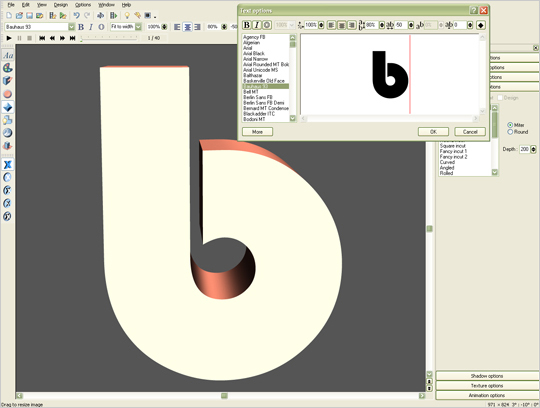 Xara 3D is an application that can transform 2D text into 3D text. 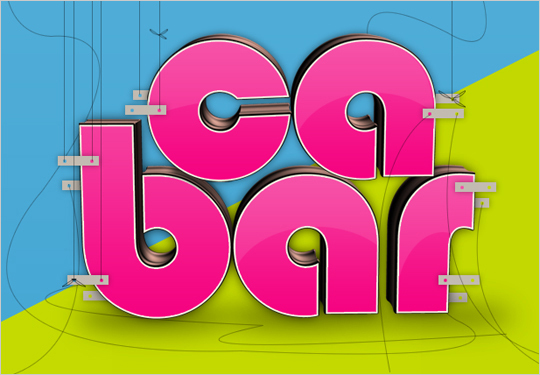 It also creates simple 3D animated text. The interface makes it look simple but working with Xara could be very tricky for the first time user. The more you use Xara 3D the more you can explore the software to its full potential. This image contains your basic File Open Save Export buttons found in almost all software. It also contains the Style Picker menu for animation of the text. Let’s move on to the other menus. Similar to Microsoft Word, this software also allows it’s users to choose the font typeface size and the style as it suits them. 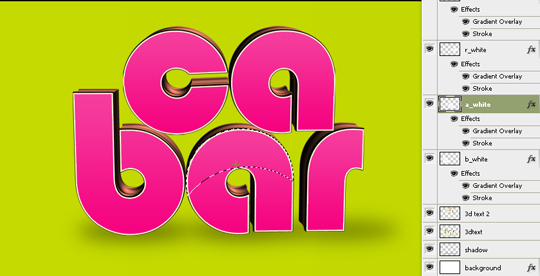 As I said at the beginning of the tutorial, Xara 3D can also be used to animate the 3D text you create. These buttons are used to pre-render the animation before you export it as Flash SWF file or GIF file. 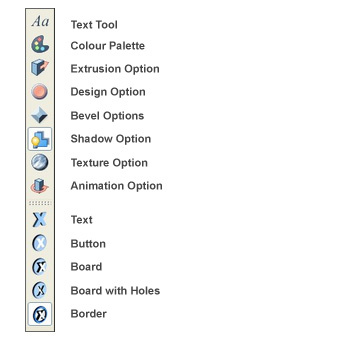 This part of the menu interface is the tools palette that contains the text tool, colour palette, extrusion tool, (this tool is similar to the extrusion tool in Google Sketch Up) Design Option tool (holds all the settings of the tools in the tools palette), Bevel Options tool, Shadow Option, Texture Option (contains pre-installed patterns and textures similar to Photoshop), Animation Option, and finally the Text Button Board. 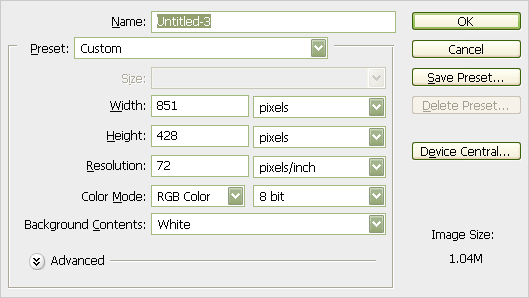 Finally the tools palette options menu – this is the settings menu for all the tools in the tools palette located on the right hand side of the interface. The grey area is your canvas and workspace. For those who do not have a copy of Xara 3D full version, I have included the PSD file so you can try your hands at this tutorial. 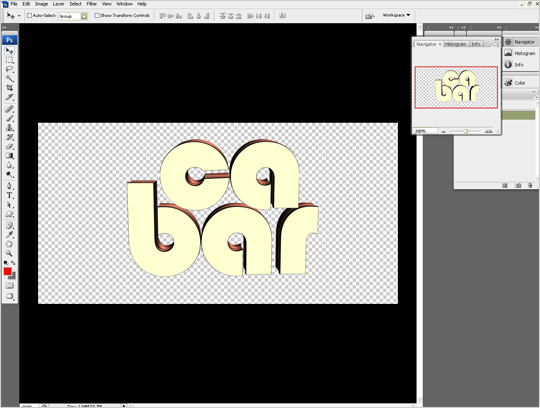 If you are using the trial version of Xara 3D, beware that a watermark will be placed on any image you export. 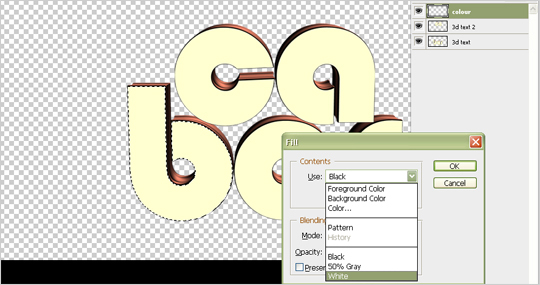 Open Xara 3D and click on the text creation tool in the tools palette and choose your choice of font and type in your text. Now let’s generate each letter of your text and save as a PNG file separately. Render each letter of your text separately. When you’ve entered your text click OK. Now click the bevel tool in the tools palette and go to the right hand side of the interface. 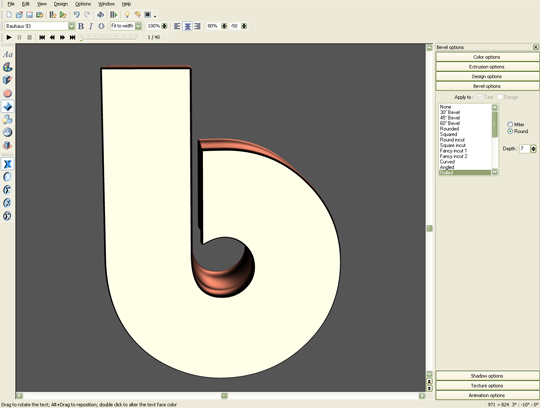 Input the settings below into the Bevel Design Option. This is how your text should look after putting in the given values. 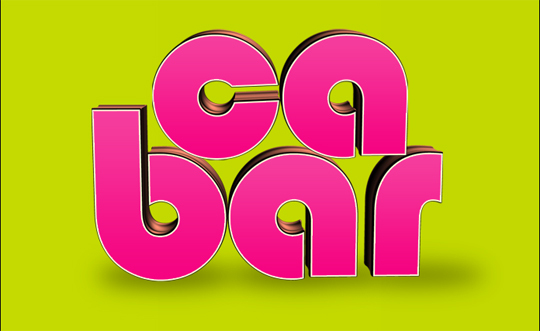 Note the bevel effect may vary according to the typeface you have chosen. Now then, click the text lighting tool. You will see 3 directional point lights: one on the front of your model, one on the side, and one at the back of your model. These lights can be tweaked by rotating them to suit your light source. For mine I have decided to leave it at its default position. 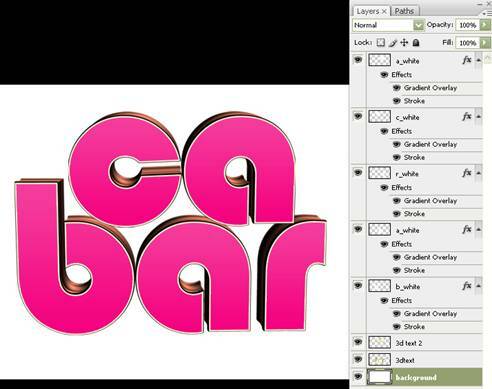 Now let’s export or render our 3D text as a PNG file and import it to Adobe Photoshop to edit it. 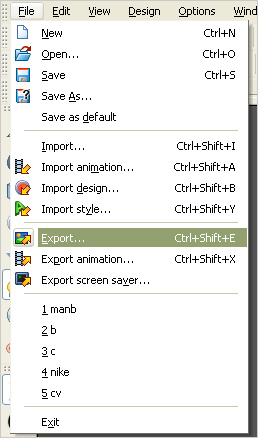 Hit Ctrl+ Shift+E or simply go to File > Export. Give your text a name, make sure Save As Type is set to PNG, and click OK.
You will be prompted to put in some settings in the Save As dialog. Use the settings below. Make sure file format is set to PNG and click Save. 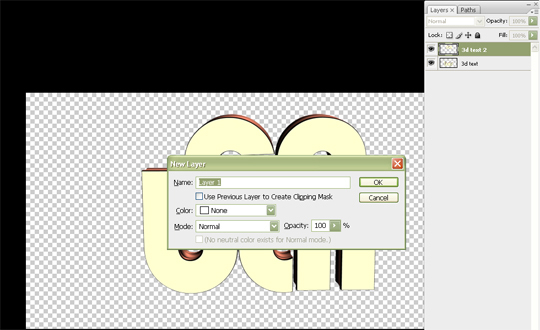 Render all your 3D text using these steps and get ready to import them into Photoshop. 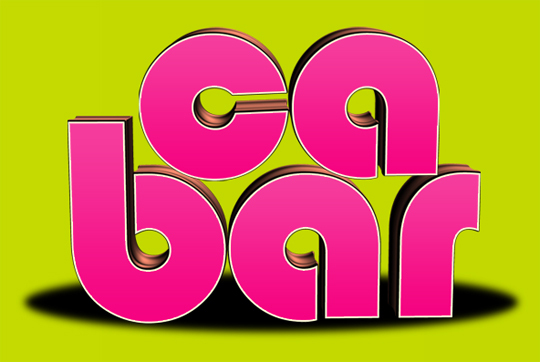 Now let’s begin turning our boring 3D text into something more exciting. Open up Adobe Photoshop and hit Ctrl+N (Windows users) Apple+N (Mac users) to create a new document. Use the settings in the picture below. Now bring in all the PNGs you exported from Xara 3D and arrange them as it suits you. Delete your background. 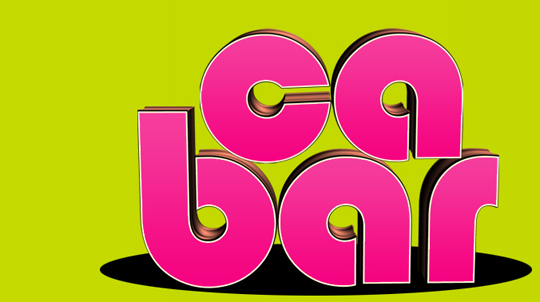 Create a new layer on top of your 3D text layer by hitting Ctrl+Shift+N. Now with your new layer on the top, hit (W) to summon your Magic Wand Tool. 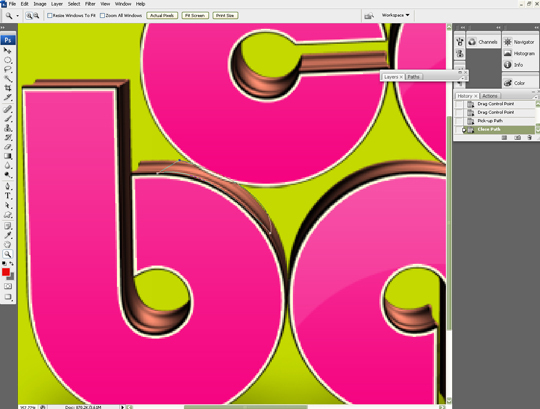 Note: For Photoshop CS3 users and above, make sure you’ve selected the magic wand and not the Quick Selection Tool. 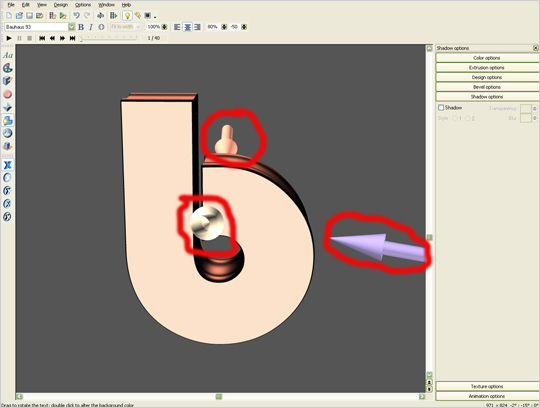 Now with your Magic Wand Tool active, select the 3D layer and click on one of the letters. Now you’ve got a near perfect selection around your text. The red marker shows you the selection made using the Magic Wand Tool. 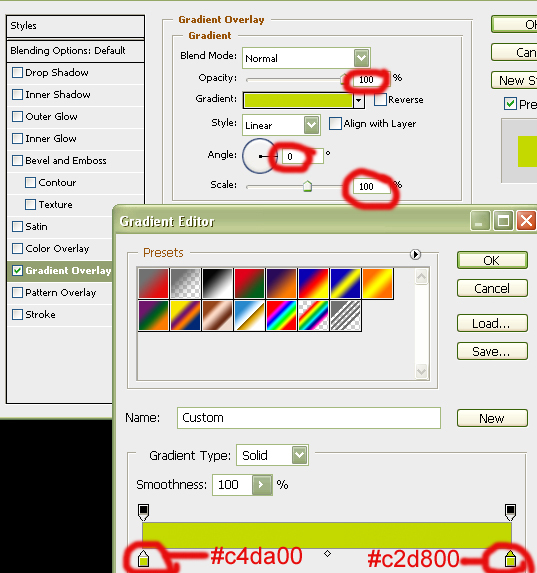 Now hit Shift+F5 (Shortcut for Fill) or Edit>Fill to fill the selection with any colour. In my case I will be using White. Click Ok. Note the Fill selection menu only becomes active when there is a selection. 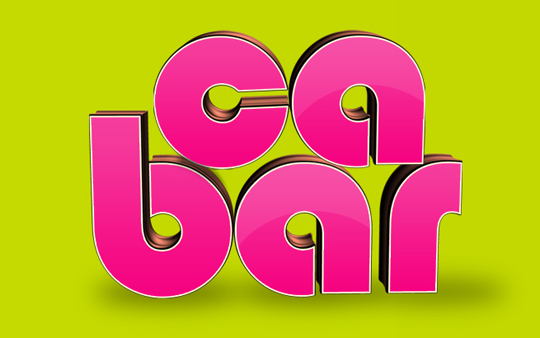 Now this is how your 3D text should look after selecting the 3D text and filling it with White. Make sure everything is done on separate layers to keep your workflow clean & manageable. 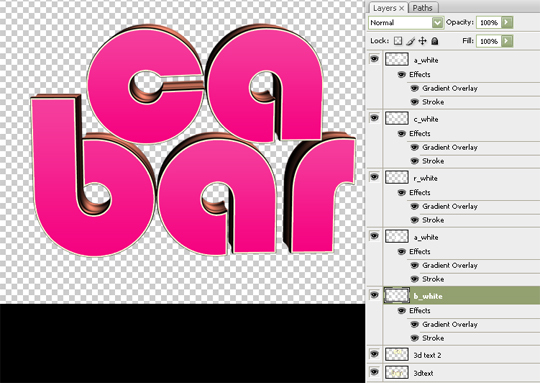 Now let’s add layer styles to our new layers. 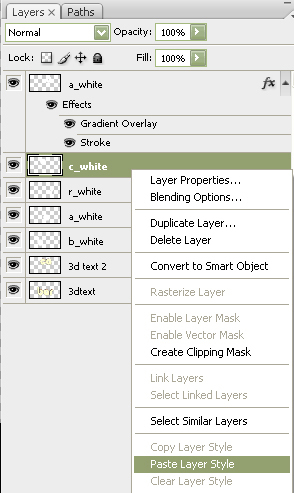 Double click on any of the new layers that end in “white” (apply the effect to only layers ending with “white”). 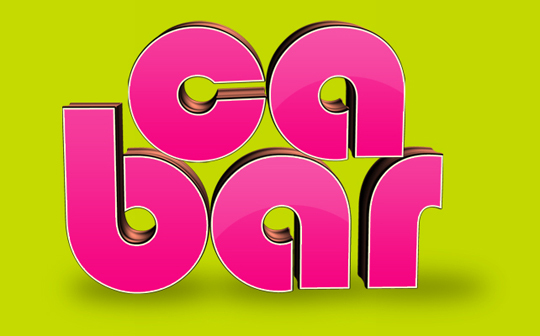 Select Gradient Overlay and Stroke Style. Refer to the images below to apply the settings. Tick Gradient Overlay and Stroke. 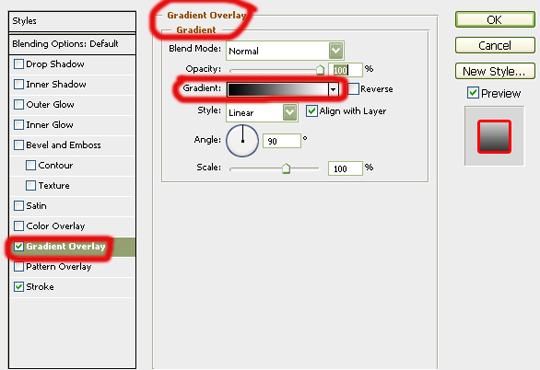 Now double click on Gradient Overlay and apply the settings like the picture below. Double click on Gradient and apply these colours. 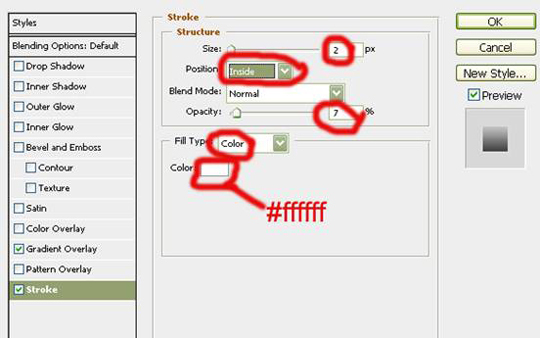 Now double click Stroke and apply these settings to it. You should have this after those steps. Now right click on the layer to which you’ve just added the layer style. Select Copy Layer Style from the menu. 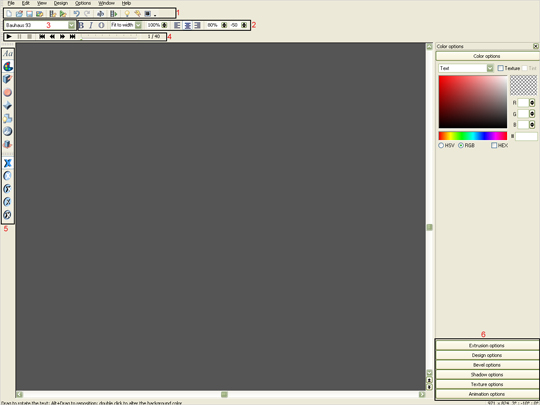 Now right click on the other layers (ending with “white”) and click Paste Layer Style like the image below. 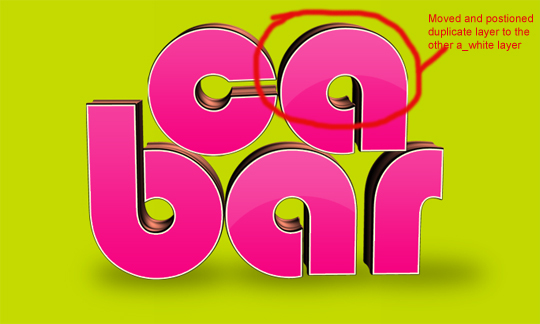 Note:Pasting layer styles may not be possible with older versions of Photoshop. Apply it to only the layers ending in “white”. After you apply the styles this is how your layers should look. Hit Ctrl+Shift+N to create a new layer and drag the new layer down to the bottom. 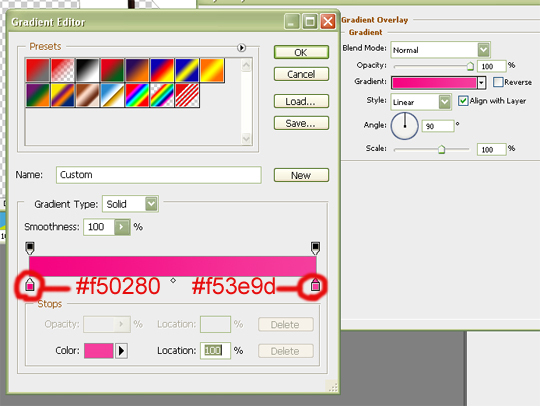 Hit Shift+F5 and select white as the fill colour and name it background. Your image should look like this. Double click on the background layer and apply a gradient layer like before using the settings in the picture below and click ok. 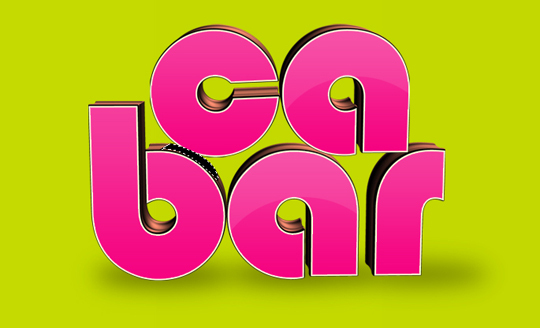 This is how your 3D text should look like after applying the settings to it. Hit Ctrl+Shift+N (create a new layer) call your new layer “shadow”. Hit M to activate your Elliptical Marquee tool (make sure Elliptical Marquee tool is selected and not Rectangular Marquee tool). Then make a selection like in the image below. Hit Shift+F5 and fill it in black and deselect it. Now go to Filter>Blur>Gaussian Blur. Keep hitting Ctrl+F to repeat the last Filter used until you achieve something like the image below. Selection with the Marquee Tool. Fill the selection with black. Apply your Gaussian Blur and keep hitting Ctrl+F till you have achieved something similar to the image below. This is how your image should look after adding your Gaussian Blur. Now hit Ctrl+Shift+N to create a new layer and hit W to activate the Magic Wand tool. Click the a_white layer with the Magic Wand tool. Now hit M to select your Elliptical Marquee tool. While holding ALT, drag the Elliptical marquee tool to subtract from selection. 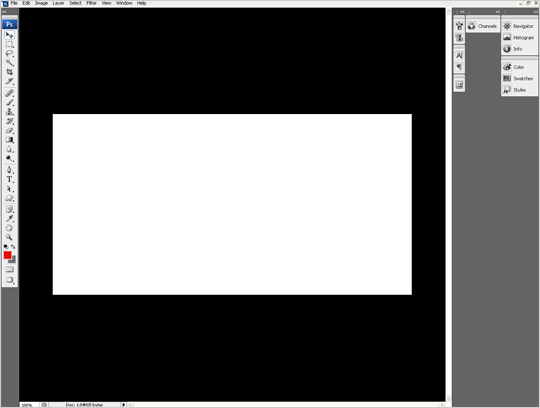 Now on the new layer you just created, hit Shift+F5 and fill it with white. Reduce the opacity to approximately 10%. Refer to the image below. With the new layer still selected, hold ALT and nudge up (using the UP arrow key) Note: hit UP arrow once to create just one duplicate. Example – if you wanted 5 duplicates of that layer you would hit UP arrow key 5x) when duplicated move it to the other A letter and position it as the original is positioned on the image below. (The reason being you don’t have to waste time and create another selection for the other A as well). 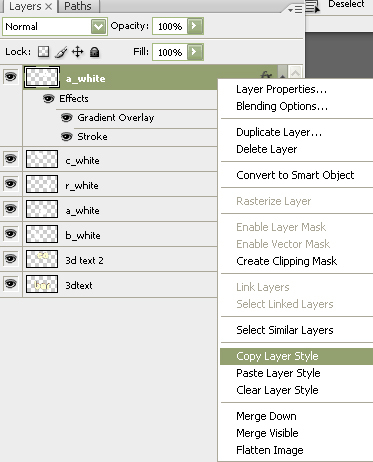 Duplicated, nudged, and positioned duplicate layer to the other a_white layer. This should be your outcome so far. Now hit P to activate your pen tool (one of my favorite tools in Photoshop) and make a selection like the example in the picture below or something similar. Now hit A and select the Select Direct tool, right click and select Make Selection. Hit Shift+F5 to fill the selection with black. Apply a Gaussian Blur Filter to it and keep applying it by hitting Ctrl+F until you get something similar to mine. Make a selection and fill it with black. Keep repeating the Gaussian Blur effect till you have something similar to mine. 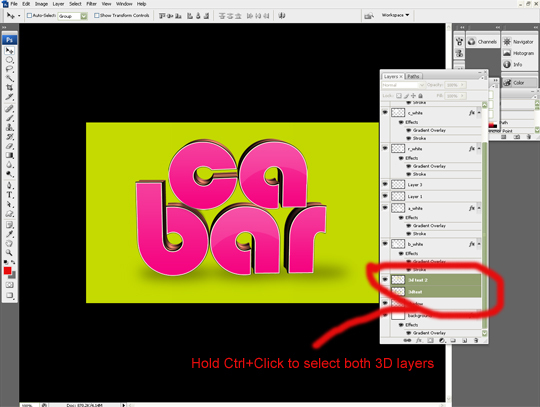 Now hold Ctrl, select the two 3D text layers, and hit Ctrl+E merge the two layers. 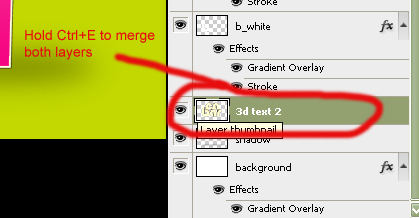 Ctrl click the thumbnail of the merged layer to make a selection. Hit Shift+F5 to fill with black and again apply Gaussian Blur till you achieve something similar to the image below. Remember to create a new layer before you apply the Fill in command. Make a selection by holding Ctrl and clicking the layers thumbnail. Make a new layer, fill it with black and move the layer beneath the 3D layer. Now apply the Gaussian Blur. This is how it should look after those steps. 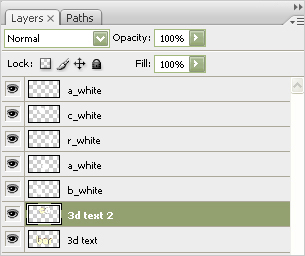 Duplicate your 3D layer, hold Ctrl+Shift+U to desaturate the image and lower its opacity as it suits you. 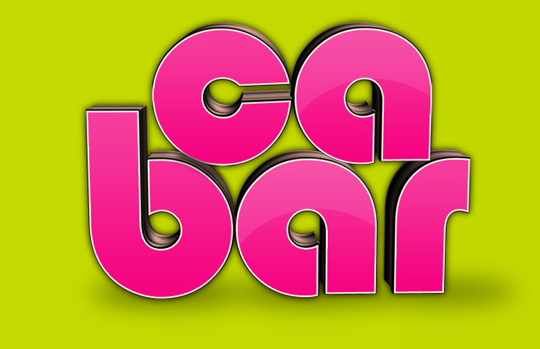 Your 3D text should look something like this in the picture. Now let me talk you through how I achieved the string effects. Hit M to activate Marquee tool. 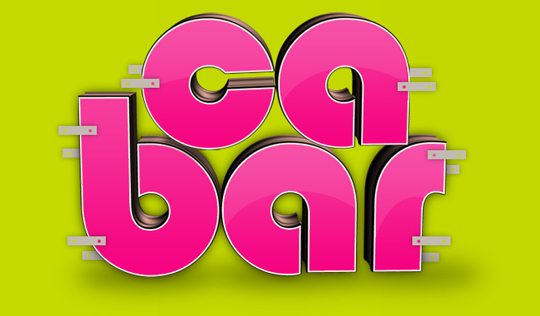 Rectangular Marquee tool and make a selection like the image below. Make a selection with your Rectangular Marquee tool. Fill your selection using the fill technique we’ve been using. Now select your Elliptical Marquee tool and make a small selection like the picture above and just hit backspace to delete it. Through this tutorial you should always remember that anything we create has been done on separate layers to make working easy. Make another selection on the other side as well to achieve something similar to the image above. This is how your 3D text should look now. But remember to be creative and experiment with different arrangements. Hit P to activate your pen and create a small path like the image above and hit A to activate the direct selection tool. 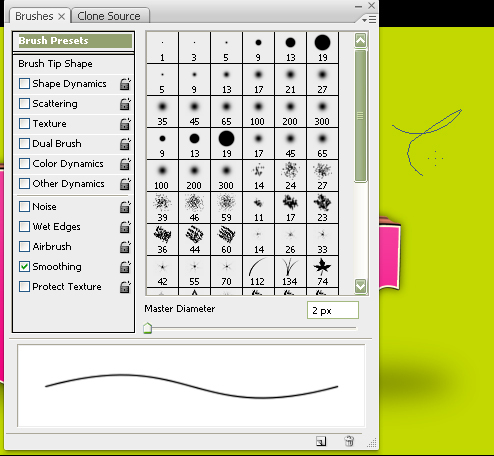 Check that your brush size is set to 2px and on a new layer, still with your direct selection tool, right click on your path, select Stroke Path and just select brush and tick Stimulate Pressure. Now be creative using your pen tool and all the skills, techniques, and key shortcuts, come up with something similar to my final image. Hope this tutorial has helped you! Hi I'm Andrew Ohene Kwakye. 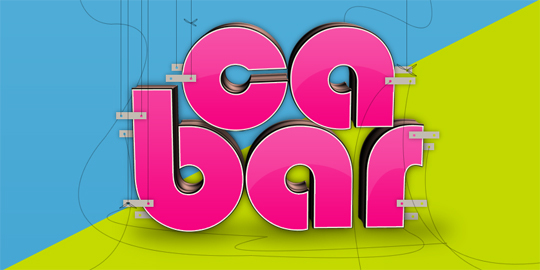 I'm a freelance 3D digital designer and graphic designer from England. I love working with both 3D and 2D and am a strong believer in street graffiti art.